Machined from 6061T6 aluminum in Eddie Motor Sports California facility, these billet caps are a quick easy way to dress up your 5th Gen Camaro engine compartment. The caps fit over your stock plastic caps and are held in place with a set screw. The caps feature a raw machined finish (not as pictured) and are available for radiator, master cylinder, coolant reservoir, oil fill, and power steering. Caps are sold individually. 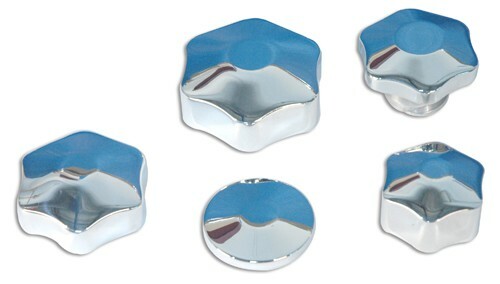 Windshield washer tank caps are shown on a separate listing on our site.